Class 2S have been learning about the different body parts on a human during our recent science work. 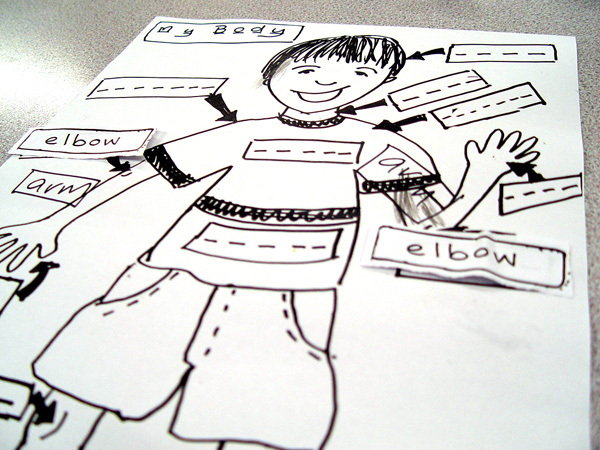 Each class member has produced a large picture of the body of a boy which we have now labeled. Our task was to find the correct body part names to match up with the diagram. We asked each class member to explain what they were doing and to add in some observational sentences: I have two legs, but only one neck, etc.